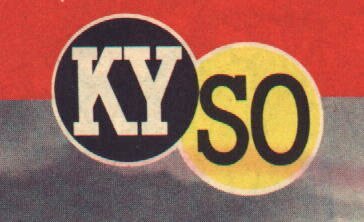 Actual photo of 1971-era KYSO sign, Ft. Meade, FL. 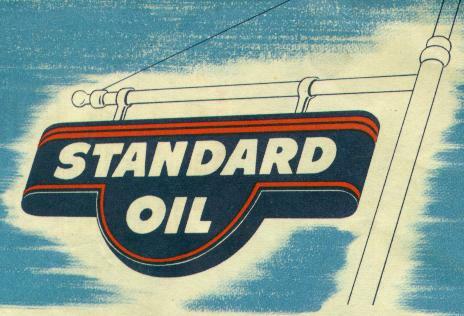 From FDOT records, donated by Robert V Droz. 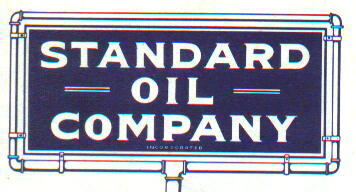 A 1976 Standard/Chevron near Lake Placid, FL. 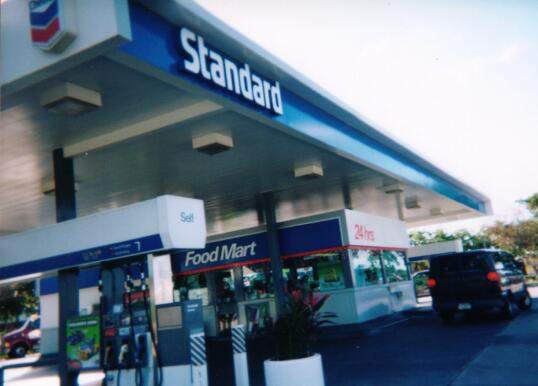 A Chevron/Standard station in Miami, FL. 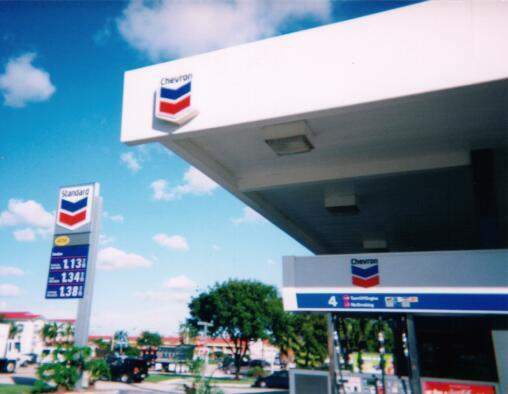 Taken Dec. 2001 by Robert V.Droz. I am nearly certain the sign is original, even if the mounting method is not. The old old pump looks to be original, too. 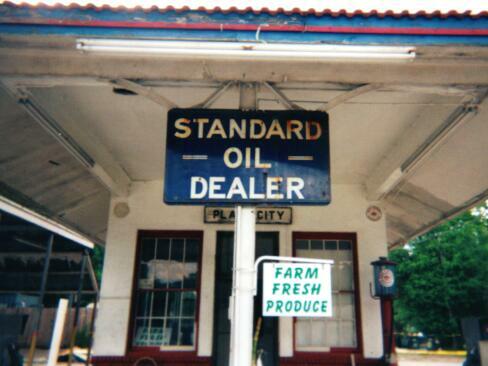 Plant City, FL 2002, by Robert V. Droz. 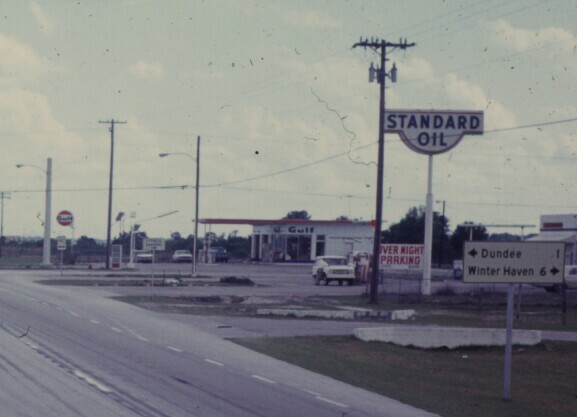 1969 photo at Florida 26 and US 129, Trenton, FL. From Robert Droz. intersection of Florida 542 and US 27. From Robert Droz. Another angle of the Standard of Kentucky at Florida 542 at US 27, Dundee, FL. 1969 photo donated by Robert Droz.